Within the graphic and web design industries, there exists a dizzying array of niche disciplines and skill levels. It is not always easy to choose a designer or design company that fits your business branding needs. So, how can you tell which one is right for your business? The following is an outline that covers some of the more common delineators in businesses that offer creative services. Steve Sapz Designs and Graphics is recognized for its easy rapport with talents from diverse backgrounds. With experience in Marketing and Graphic Design, he brings an overwhelming energetic force to life, and can make anyone feel comfortable and connected easily. Through artful design and expression, Steve's unique and versatile approach brings depth and dimension to ALL areas of design and life. 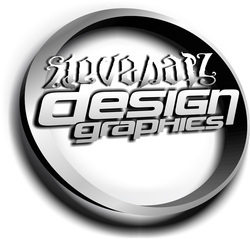 Steve Sapz Design Graphics will create or touch up type, logos, illustration, graphics, layout, page set-up, and pre-press topics -- including Adobe InDesign, Powerpoint, Adobe Illustrator, Photoshop and others..
Click here for more examples of Designs! !